Less than two weeks remain until Primary Day which will set the stage for November 5th. 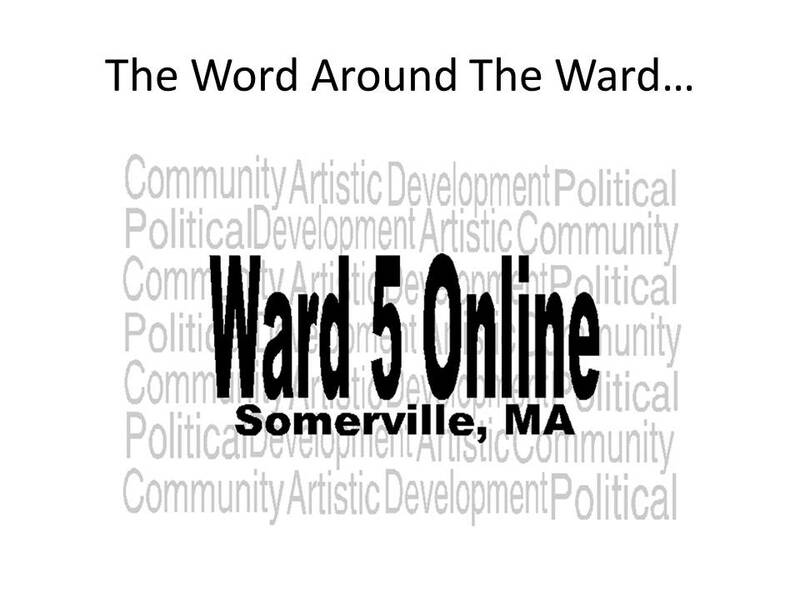 Wards 3 and 1 will see races for Alderman while Ward 5 sees one for School Committee. Be sure to participate in the excitement by voting! One of my most popular posts, The Who? What? Why?, has been updated with the latest political choices for September 24th and November 5th. The Somerville Labor Coalition held a Candidate Forum at the City Club on September 3rd that was attended by many spectators and candidates alike. Shout out to Maryann Heuston for being the only unopposed incumbent to attend and to all the candidates that made great pitches for this worthy endorsement. Household Hazardous Waste drop off day will be September 14th from 9-12noon at the DPW Yard on Franey Road. Be sure to have your driver's license or utility bill for verification.